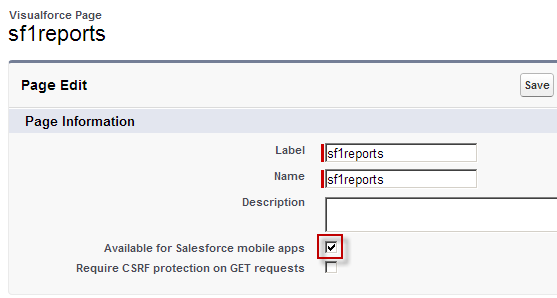 Salesforce1 comes with nice dashboards built in, but no reports! This is somewhat understandable. 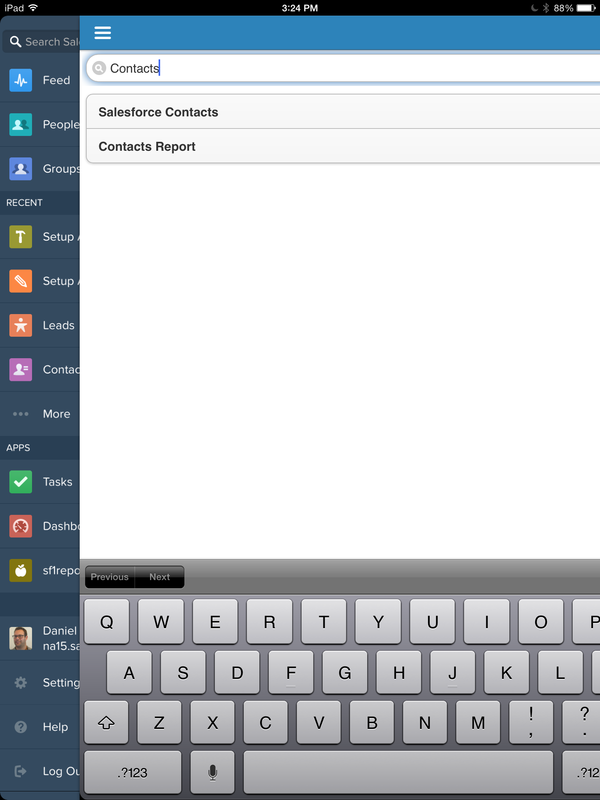 Dashboards are already fairly mobile friendly while reports can be quite unwieldy, even on a desktop experience. The number of rows and columns and the controls needed to manipulate them are not trivial to implement on a small touch screen. It is, however, possible to attempt to build this functionality yourself with the Salesforce Analytics API and whatever User Interface you wish. Check the link in the tweet to see his GitHub repo. 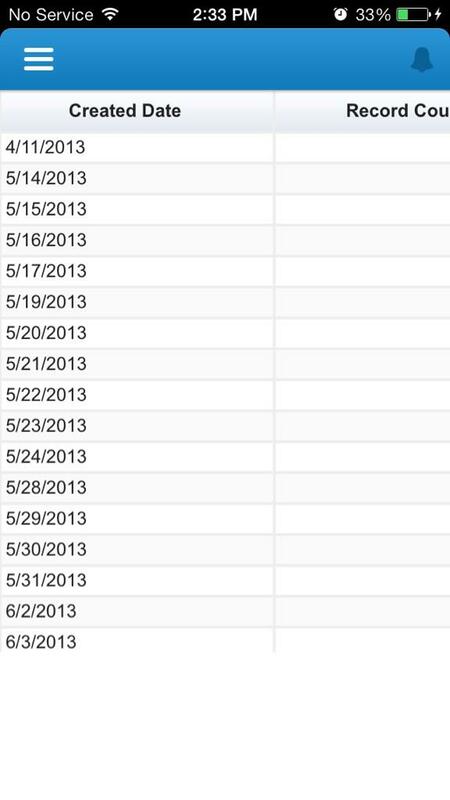 However the Google Charts API isn’t all that mobile friendly. And this example provided no method for choosing which report to display. I decided to look deeper to push this solution further ahead for the salesforce community. 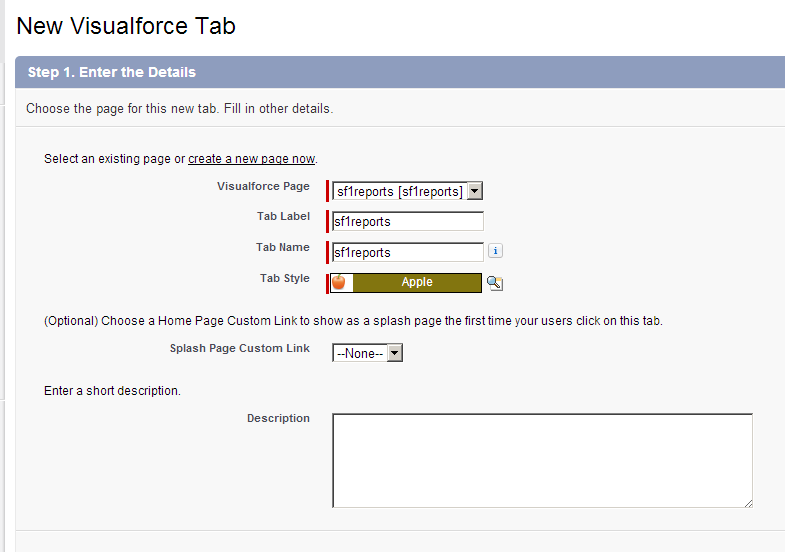 sf1Reports uses the latest jQuery mobile framework to create a mobile-friendly report search and render experience. You can choose 2 modes to render the report. 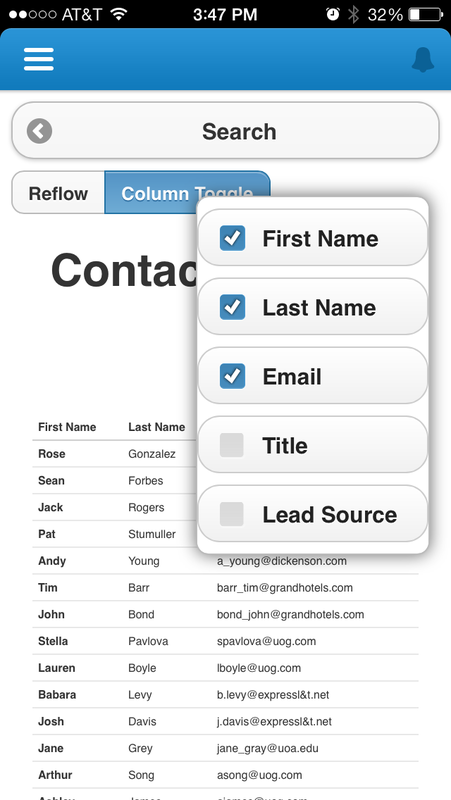 Reflow or Column Toggle. Grab the files from my GitHub repo: https://github.com/danieljpeter/sf1reports . 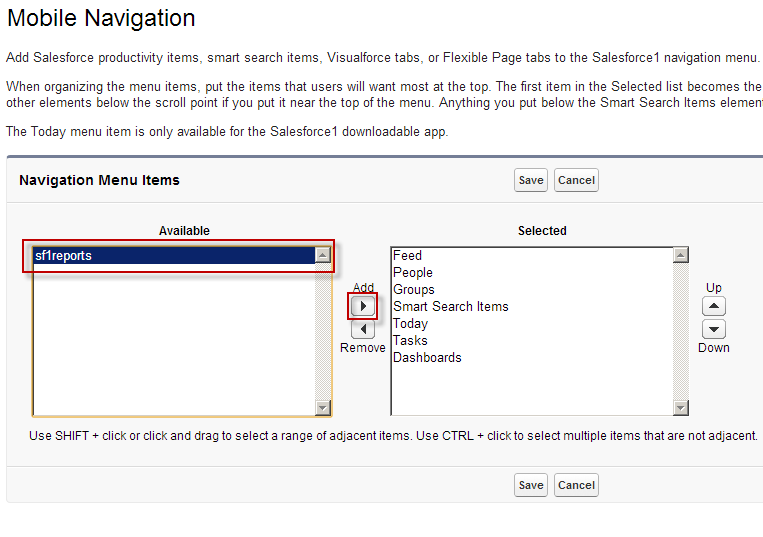 Deploy the 2 classes and 1 VisualForce page to your salesforce org. I didn’t package them, but they are easy to deploy with something like the Force.com IDE. https://c.na15.visual.force.com/apex/sf1reports . 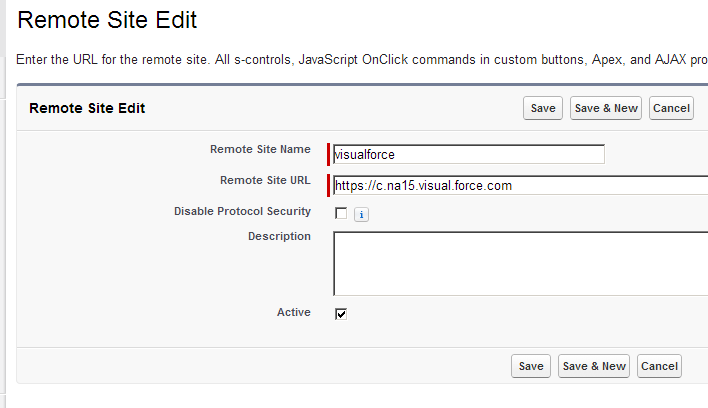 Copy the visualforce domain portion of the URL as seen below. You will need to paste it into the next step. This is just v1.0. It obviously is just a crude start, but it has potential. Feel free to contribute to make it better. It only supports tabular reports currently. Summary and Matrix could be added with some more work. I use the JSON Parser to blast through the Analytics API response. That data is fairly complex, so I chose to iterate over the JSON rather than try to deserialize it. There would need to be some thought as how to convert the JSON for Summary and Matrix reports to corresponding apex and ultimately HTML elements. I chose a flat listing of all reports that is searchable by SOSL. This seemed like a good mobile-first thing to do. If desired, navigation through the report folders could be added. 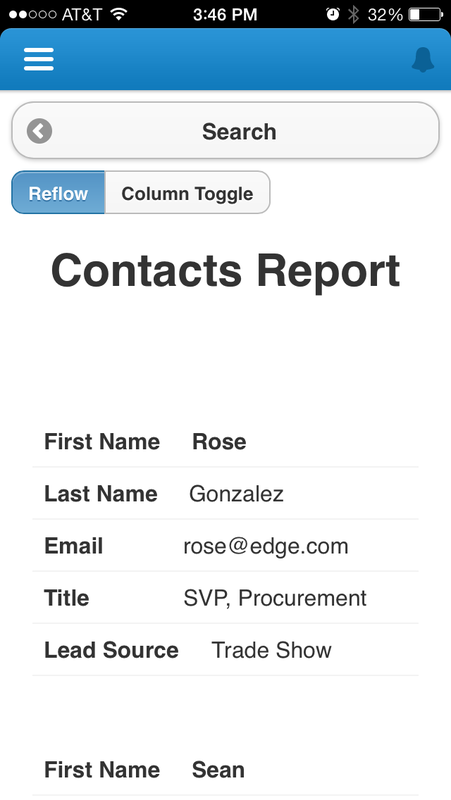 It might make sense to make some mobile versions of reports in salesforce with a naming convention which have fewer columns and rows. I noticed that the iOS Salesforce1 app would crash sometimes. 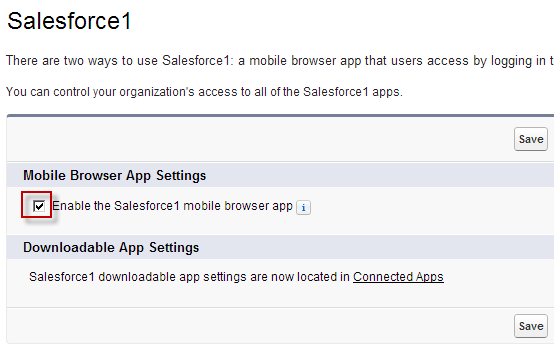 The Dreamforce 13 app also crashed in a similar manner, so I don’t know if it is a problem with my app or not. Sf1reports didn’t crash which running it in a browser on my desktop with the /apex/sf1reports URL or the /one/one.app URL. Hopefully Salesforce1 proves to be a reliable container for our custom VisualForce apps and this isn’t an indicator of a larger problem. If you need report data on to go, it might just solve your needs! A Salesforce Conference in Uruguay? YES!